A.Kazlauskas, V.Vansevičius, A.Bridžius, R.Drazdys, R.Kalytis. On the tolerances of filters for GAIA medium band photometric system. – Astrophys. & Space Sci., 2002, V. 280(1-2), 57-62. J.Sūdžius, S.Raudeliūnas, A.Kučinskas, A.Bridžius, V.Vansevičius. 3-D Structure of the Galactic Interstellar Matter: A Contribution from GAIA. – Astrophys. & Space Sci., 2002, V. 280(1-2), 109-114. A.Kučinskas, V.Vansevičius. Diffuse interstellar band at 862 nm as a reddening tracer for GAIA. – Astrophys. & Space Sci., 2002, V. 280(1-2), 119-124. A.Bartkevičius, A.Gudas. GAIA and Population II Visual Binaries. – Astrophys. & Space Sci., 2002, V. 280(1-2), 125-128. G.Tautvaišienė, B.Edvardsson. α-process elements in the Galaxy: a possible GAIA contribution. – Astrophys. & Space Sci., 2002, V. 280(1-2), 143-150. A.Kučinskas, V.Vansevičius, T.Tanabé. Asymptotic Giant Branch stars as tracers of star formation histories: the GAIA context. – Astrophys. & Space Sci., 2002, V. 280(1-2), 151-157. A.Kučinskas, A.Bridžius, V.Vansevičius. Globular clusters in the Large Magellanic Cloud: the impact from GAIA photometry. – Astrophys. & Space Sci., 2002, V. 280(1-2), 159-163. J.Zdanavičius, V.Straižys, C.J.Corbally. Interstellar extinction law near the Galactic equator along the Cameleopardalis, Perseus and Cassiopeia border. – Astron. Astrophys., 2002, V. 392, 295-300. J.Sperauskas, A.Bartkevičius. Radial velocities of population II binary stars. I. – Astron. Nachr., 2002, V. 323, No. 2, 139-148. P.Bogdanovich, R.Karpuškienė, A.Momkauskaitė. Some problems of calculation of energy spectra of complex atomic configurations. – Comp. Phys. Commun., 2002, V. 143, 174-180. R.Kisielius, P.J.Storey. Effective recombination coefficients for N II lines at nebular temperatures and densities. – Astron. Astrophys., 2002, V. 387, 1135-1145. S.Fritzsche, B.Fricke, G.Gaigalas, T.Jacob, M.Tomaselli. Fast and reliable techniques for using Racah’s algebra in many-particle physics. – Comp. Phys. Commun., 2002, V. 147, 612-616. G.Gaigalas, S.Fritzsche. Maple procedures for the coupling of angular momenta. VI. LS-jj transformations. – Comp. Phys. Commun., 2002, V. 149, No.1, 39-60. S.Fritzsche, C.F.Fischer, G.Gaigalas. RELCI: a program for relativistic configuration interaction calculations. – Comp. Phys. Commun., 2002, V. 148, 103-123. A.Kupliauskienė, K.Glemža. Strong dependence of shake probability on valence electron state for the inner-shell ionization of atoms. – J. Phys. B: At. Mol. Opt. Phys., 2002, V.35, 4637-4646. Y.Ishikawa, M.J.Vilkas. Relativistic Multireference Moller-Plesset Perturbation Theory Calculations on the Term Energy and Lifetime of the 5S20 State in Siliconlike Ions with Z =28-79. – Phys. Scripta, 2002, V. 65, No. 3, 219-226. S.Ališauskas. The multiple sum formulas for 12j coefficients of SU(2) and uq(2). – J. Math. Phys., 2002, V. 43, No. 3, 1547-1568. S.Ališauskas. Coupling coefficients of SO(n) and integrals involving Jacobi and Gegenbauer polynomials. – J. Phys. A: Math. Gen., 2002, V. 35, No. 34, 7323-7345. S.Ališauskas. 6j-symbols for symmetric representations of SO(n) as the double series. – J. Phys. A: Math. Gen., 2002, V. 35, No. 48, 10229-10246. T.Krasta, J.Ruža, J.Tambergs, O.Katkevičius, J.A.Castilho Alcaras. Binding energies and radii of /alpha -cluster type nuclei from the strictly restricted dynamics model calculations. – Yadernaya fizika, 2002, V. 65, No. 4, 752-757. T.Krasta, J.Ruža, J.Tambergs, O.Katkevičius, J.A.Castilho Alcaras. Binding Energies and Radii of /alpha -Cluster-Type Nuclei from Calculations Based on the Strictly Restricted Dynamics Model. – Phys. Atom. Nucl., 2002, V. 65, No. 4, 720-724. J.Ruseckas, B.Kaulakys. Weak measurement of arrival time. – Phys. Rev. A, 2002, V. 66, 052106-1 – 052106-6. V.Gineityte. On the relation between the stabilization energy of a molecular system and the respective charge redistribution. – J. Mol. Structure, 2002, V. 585, 15-25. V.Gineityte. Direct and indirect interactions of orbitals as an efficient tool for investigation of chemical reactivity. The AdE 2 reaction of substituted ethenes. – J. Mol. Structure, 2002, V. 588(1-3), 99-112. J.Grigas, E.Talik, V.Lazauskas. X-ray Photoelectron Spectra and Electronic Structure of Bi2S3 Crystals. – Phys. Status Solidi (B), 2002, V.232, No.2, 220-230. A.Kupliauskiene, D.Satkovskiene, S.Vingeliene. Women in Physics in Lithuania: The Problems and Ways to Solve Them. – The IUPAP International Conference on Women in Physics, Paris, 7-9 March, 2002, eds. B.K.Hartline and D.Li, AIP Conference Proceedings, V. 628, Melville, New York, 2002, 191. A.Kučinskas, L.Lindgren, T.Tanabé, V.Vansevičius. AGB Stars as Tracers of Star Formation Histories: Implications for GAIA Photometry and Spectroscopy. – Proceedings of the Monte Rosa Conference “GAIA Spectroscopy, Science and Technology”, September 9-12, 2002, Gressoney Saint Jean, Italy, ed. U.Munari, ASP Conf. Ser.,1-4 (in press*). A.Kučinskas, L.Lindgren, T.Tanabé, V.Vansevičius. AGB stars as tracers of star formation histories in the Galaxy and beyond. – Proceedings of the workshop “Mass-losing Pulsating Stars and their Circumstellar Environment”, May 13-16, Sendai, Japan, eds. Y.Nakada, M.Honma and M.Seki, ASSL Series, Kluwer Academic Publishers, 1-4 (in press*). Z.R.Rudzikas. Theoretical Atomic Data: Universality and Precision. – 3rd International Conference on Atomic and Molecular Data and Their Applications ICAMDATA, Gatlinburg, Tennessee, USA, 24-27 April 2002, eds. David R. Shultz, Predrag Krstic, Fay Ownby, AIP Conference Proceedings, V. 636, Melville, New York, 2002, 221-232. 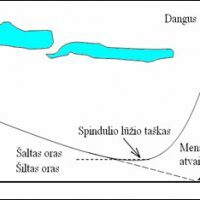 A.Tamulis, Z.Rinkevicius, J.Tamuliene, V.Tamulis, A.Graja, A.K.Gaigalas. Quantum chemical design of logic gates of classical and quantum molecular computers and light driven molecular logical machines. – In: Molecular Low Dimensional and Nanostructured materials for Advanced Applications, eds. A.Graja, B.R.Bulka, F.Kajzar, 2002, NATO Science Series II: Mathematics, Physics and Chemistry, V. 59, Kluwer Academic Publishers, 209-219. M.-L.Balevicius, J.Tamuliene, A.Tamulis, A.Graja. Isomerization pathways of azobenzene. – In: Molecular Low Dimensional and Nanostructered materials for Advanced Applications, eds. A.Graja, B.R.Bulka, F.Kajzar, 2002, NATO Science Series II: Mathematics, Physics and Chemistry, V. 59, Kluwer Academic Publishers, 289-292. J.A.Castilho Alcar?s, J.Tambergs, T.Krasta, J.Ruža and O.Katkevičius. The Plethysm Technique Applied to the Classification of Nuclear States. – Brazilian Journal of Physics, V. 32, No. 2B, 2002, 641-670. T.Krasta, J.Tambergs, J.Ruža, J.A.Castilho Alcaras and O.Katkevičius. Description of Mirror-type Nuclei in Restricted Dynamics Approach. – In: Theoretical Physics 2001, eds. Henk F. Arnoldus and Thomas F. George, Horizons in World Physics, V. 238, Nova Science Publishers, 2002, 109-141. A.Galdikas, P.Serapinas, I.Papadakis, P.De Bievre, P.Taylor. Metrology in Chemistry: Status report of Lithuania. – European Commission, GE/R/IM/13/02, EUR 20233 EN, 52p. J.Zdanavičius, K.Zdanavičius. Photometry and classification of stars along the Cameleopardalis and Perseus border. – Baltic Astronomy, 2002, V. 11, No. 1, 75-90. A.R.Upgren, J.Sperauskas, R.P.Boyle. Space motions of low-mass stars. III. – Baltic Astronomy, 2002, V. 11, No. 1, 91-100. V.Straižys, R.Lazauskaitė. Star classification possibilities with broad-band photometric systems. II. The GAIA UBVRI system. – Baltic Astronomy, 2002, V. 11, No. 1 135-152. A.Bartkevičius, A.Gudas. Kinematics of Hipparcos visual binaries. II. Stars with ground-based orbital solutions. – Baltic Astronomy, 2002, V. 11, No.2, 154-204. V.Laugalys, V.Straižys. CCD photometry and classification of stars in the North America and Pelican nebulae region. I. Molėtai photometry. – Baltic Astronomy, 2002, V. 11, No.2, 205-218. A.Kazlauskas, K.Černis, V.Laugalys, V.Straižys. Photometric investigation of the MBM 12 molecular cloud area in Aries. I. Photoelectric photometry. – Baltic Astronomy, 2002, V. 11, No.2, 219-230. V.Straižys, K.Černis, A.Kazlauskas, V.Laugalys. Photometric investigation of the MBM 12 molecular cloud area in Aries. II. Cloud distance. – Baltic Astronomy, 2002, V. 11, No.2, 231-248. V.Straižys, C.J.Corbally, A.Kazlauskas, K.Černis. A comparison of photometric and spectral classification of some stars in Perseus. – Baltic Astronomy, 2002, V. 11, No.2, 261-268. V.Straižys, K.Černis, S.Bartašiūtė. Photometric investigation of the Galaxy in the direction of Serpens Cauda. Photoelectric photometry. – Baltic Astronomy, 2002, V. 11, No.3, 321-340. V.Straižys, R.Lazauskaitė, G.Valiauga. Kurucz model energy distributions: a comparison with real stars. II. Metal-deficient stars. – Baltic Astronomy, 2002, V. 11, No.3, 341-366. D.Semionov. Catalog of multicolor profiles of galaxies. – Baltic Astronomy, 2002, V. 11, No.3, 367-384. G.Gaigalas. The library of subroutines for calculation of matrix elements of two-particle operators for many-electron atoms. – Lith. J. Phys., 2002, V. 42, No. 2, 73-86. J.Tamulienė, M.L.Balevičius, A.Tamulis. Ab initio study of copper-mediated oxidative P-O coupling of white phosphorus and alcohols. – Lith. J. Phys., 2002, V. 42, No. 1, 5-10. P.Bogdanovich, O.Rancova. Finite-size nucleus approximation for solving quasirelativistic Hartree-Fock equations. – Lith. J. Phys., 2002, V. 42, No. 4, 257-262. V.Gontis. Lithuanian science in transition: statistical analysis. – Revue Baltique, 2002, No.16, 24-32. P.Serapinas. Cheminių matavimų kokybė tarplaboratoriniuose lyginimuose. – Matavimai, 2002, Nr. 1(21), 7-11; ISSN 1392-1223. A.Audzijonis, G.Gaigalas, V.Lazauskas, L.Žigas, A.Pauliukas, J.Narušis. Elektron-fononinė sąveika (Jan-Taller efektas) SbSI atomų grandinėlėje. – Lietuvos mokslas ir pramonė, Taikomoji fizika, konferencijos pranešimų medžiaga, Kaunas, Technologija, 2002, 45-50. A.Audzijonis, L.Žigas, J.Siroicas, J.Narušis, R.Žaltauskas, A.Pauliukas, A.Čerškus. SbSBrxI1-x kristalų fazinio virsmo tyrimas. – Lietuvos mokslas ir pramonė, Taikomoji fizika, konferencijos pranešimų medžiaga, Kaunas, Technologija, 2002, 55-58. G.Gaigalas, Z.Rudzikas. Approach and software for spin-angular integration in atomic theory. – 34th EGAS Conference (July 9-12, 2002), Sofia (Bulgaria), Abstracts, 119-120. G.Gaigalas, Z.Rudzikas, T.Žalandauskas. 6s Ionization Energies of Lanthanides. – 12th General Conference of the European Physical Society EPS-12, Budapest (Hungary), 26-30 August 2002, book of abstracts, 324. G.Gaigalas, Z.Rudzikas, T.Žalandauskas. On the Optimization of Classification of HCI Spectra. – 11th International Conference on the Physics of Highly Charged Ions, September 1-6, 2002, Caen, France, book of abstracts, 48. Z.R.Rudzikas. Democracy and Mathematics in Lithuania. – International Seminar on Nuclear War and Planetary Emergencies 26th Session, ed. R.Ragaini, World Scientific Publishing Co. Pte. Ltd., Singapore, 2002, 93-109. ISBN 981-238-092-2. A.Tamulis, J.Tamuliene, V.Tamulis. Quantum-Mechanically Designed Hardware of Molecular Electronics Digital and NMR Quantum Computers. – 11th Conference on Current Trends in Computational Chemistry, November 1-2, 2002, Jackson, MS, U.S.A., Abstracts , 157-158. A.Tamulis, J.Tamuliene, Z.Rinkevicius, V.Tamulis. Quantum Mechanical Design of Single Supermolecule Photoactive Machines and Molecular Classical and Quantum Logic Devices. – 11th Conference on Current Trends in Computational Chemistry, November 1-2, 2002, Jackson, MS, U.S.A., Abstracts , 159-161. A.Bernotas. Žvilgsnis iš Lietuvos į mokslo informacijos teikimą internete (anglų k.). – Second International Technical Workshop on the Project SINN, Oldenburg (Germany), November 6-7, 2002. Žodinis pranešimas . Z.Rudzikas. Lietuvos fizikai – pasaulio fizikų šeimoje. – Fizikų žinios, 2002, Nr. 23, 1. P.Bogdanovičius. Trisdešimt trečioji tarptautinė fizikos olimpiada. – Fizikų žinios, 2002, Nr. 23, 2-4. R.Karazija. Banguojanti mokslo raida. – Fizikų žinios, 2002, Nr. 23, 13-15. G.Juzeliūnas. Sustabdyta šviesa. – Fizikų žinios, 2002, Nr. 23, 21-22. A.Bernotas. Viliojanti knyga – naujas fizikos vadovėlis. – Fizikų žinios, 2002, Nr. 23, 24. R.Karazija. Didieji XXa. fizikos atradimai. – Fizikų žinios, 2002, Nr. 23, 27-29. J.Kaladė, K.Ušpalis, K.Valacka, V.Palenskis ir V.Valiukėnas. Krūvis ir jo rūšys. – Fizikų žinios, 2002, Nr. 23, 31-32. A.Kynienė, R.Kivilšienė. Europos fizikų draugijos konferencija. – Fizikų žinios, 2002, Nr. 23, 34. J.Šalkauskas. Informacinė visuomenė ir mes. – Lietuva ir pasaulis IV, Kaunas, Gabija, 2002, 70-76. Moksliniai straipsniai, atspausdinti 1998 m.
Moksliniai straipsniai, atspausdinti 2000 m.
Moksliniai straipsniai, atspausdinti 1999 m.
Optinis reiškinys atmosferoje – miražas. Moksliniai straipsniai, atspausdinti 1997 m.
« Moksliniai straipsniai, atspausdinti 2001m.